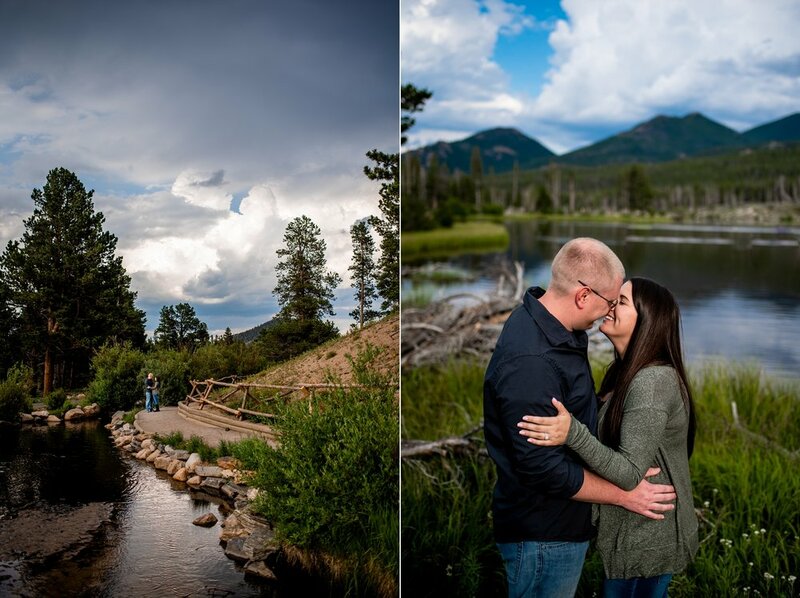 Kristi and Eric wanted to have their engagement session at Sprague Lake in Rocky Mountain National Park because on the dock of the lake is where Eric proposed to Kristi! Obviously, she said yes and the rest is history! Our session had the craziest weather but lucky for me these two rolled with the punches. To me weather like this day is a favorite to photograph in. The dynamic skies and abnormal conditions pretty much exhilarate and inspire me. The light presents itself in new and exciting ways and a lot of the time requires quick thinking and acting! As we three walked through the forest and felt sprinkles I told them I had a feeling it was rainbow weather. As we emerged, we saw a rainbow touching down near the dock and literally sprinted to get a clear view! Such fun. 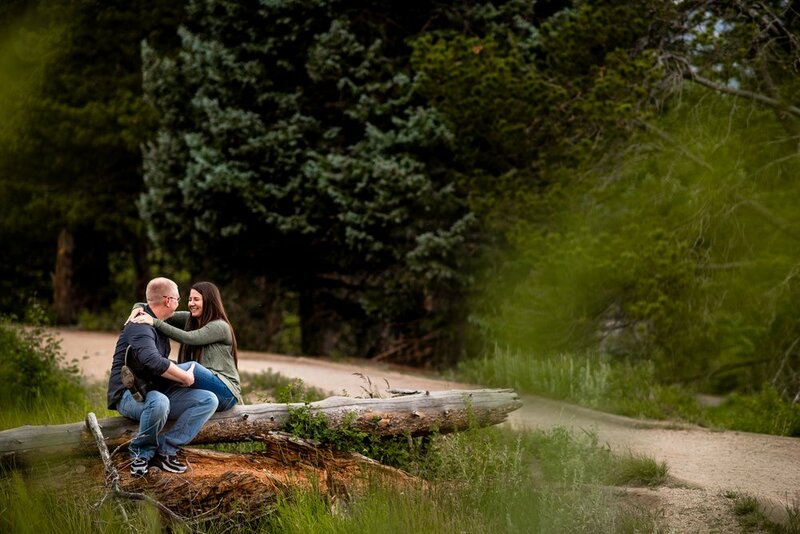 Anyways I could not be more excited to photography Kristi & Eric wedding next summer at the beautiful Deer Creek Valley Ranch where I know we are going to have the most amazing of days. Kristi and Eric have smiles that brighten the room and I cannot even contain my excitement for capturing all the beaming goodness of wedding day emotions in such a glorious spot.